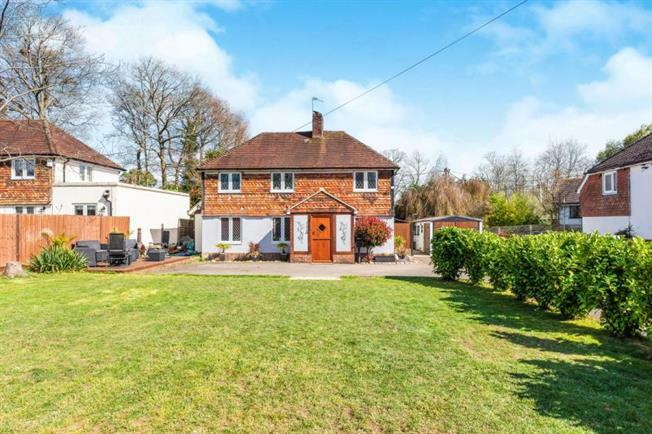 5 Bedroom Detached House For Sale in Uckfield for £600,000. Stunning 5 bedroom detached family home with a large front garden and secluded rear garden. From the moment you step through the front door you will realise how much space is on offer. With a large open plan modern kitchen/dining area with a feature fish tank built into the wall leading through to a second reception room and patio doors to the garden. With a beautifully presented living room and play room also on the ground floor plus a bonus of a second family bathroom also on the ground floor. The first floors boast 5 bedrooms, all of which are a good sizes and another family bathroom. The master bedroom includes a walk through wardrobe to an en-suite bathroom. Off road parking for 3+ cars and a detached garage. Situated in Ringles cross, only a short walk from the town centre and transport links.